Ana came to our Miami office located in Coral Gables, unhappy with her smile. She was missing a front tooth and her upper lip disappeared when she smile. We noticed Ana was embarrassed with the amount of gum she showed when she would laugh. 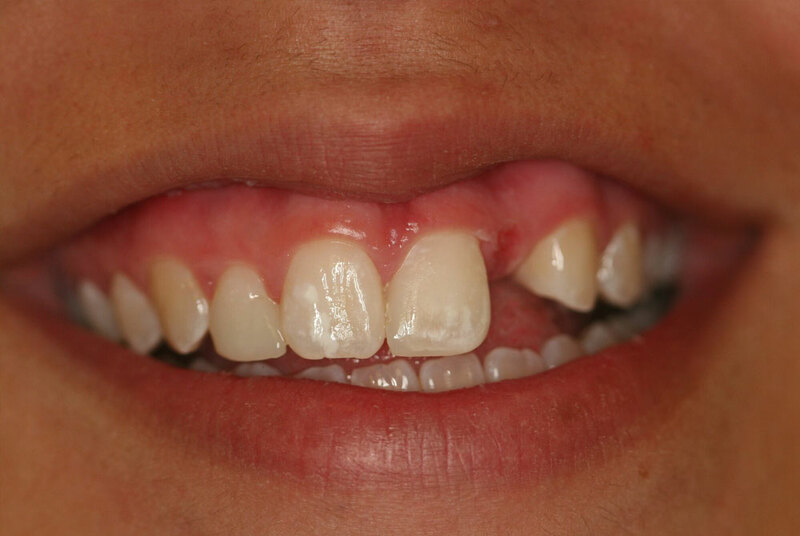 Dr. Ospina added a front tooth and surgically reduced the amount of gum shown when smiling. Now, she confidentially smiles and no longer covers her mouth when she laughs.